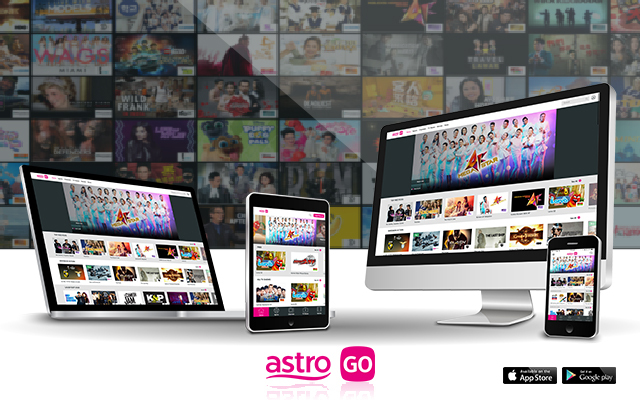 Astro Malaysia Holdings Berhad (Astro) is Malaysia’s leading content and consumer company in the TV, OTT, radio, digital and e-commerce space, with a growing ASEAN presence. The company serves 23 million individuals in 5.7 million households, or 77% of Malaysian households, who are watching Astro content both linear and on demand across all screens. NJOI Prepaid, the company’s subscription-free TV service, offers all Malaysians free access to 30 TV and 20 radio channels on TV and mobile devices, while Astro Radio includes Malaysia’s highest rated stations across key languages, available on both terrestrial and digital channels with 16.2 million weekly listeners and 14.8 million monthly digital streams respectively. Astro's digital brands host 8.3 million average monthly unique visitors across the digital platforms of its entertainment and lifestyle brands. Our OTT platforms, Astro GO and NJOI Now, cater to individual’s demand to access their preferred content anytime, anywhere across multiple devices. The company’s commerce business, Go Shop extends across TV, online and mobile platforms with 1.8 million registered users in Malaysia and Singapore, curating products to fulfill customers’ lifestyle needs. Astro also holds the distinction of winning Gold in the Media and Entertainment category at the Putra Brand Awards for 9 consecutive years from 2010 to 2018, the Malaysian Marketer of the Year award in 2016 and the IDC Digital Awards for Malaysia in 2017 and 2018. Our foundation, Astro Kasih has created award-winning programmes recognised for their innovation and life-changing impact on the community it serves.